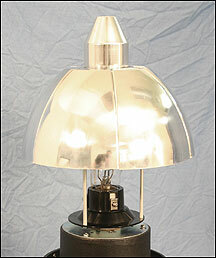 Crown Plastics new Dark Sky Reflector is the company's latest innovative design for outdoor lighting. Use this new, affordable product on new or existing applications to improve your impact on the environment. This product meets both old and new IES criteria for Uplight minimization. The amount of "Cut Off" you require can be achieved through the proper positioning of this component. With three standard mounting heights and unlimited possibilities, you can achieve maximum usable light while still allowing only a minimal amount of Uplight.